Over the last few years, we’ve seen a dramatic increase in the popularity and value of Chinese currency. 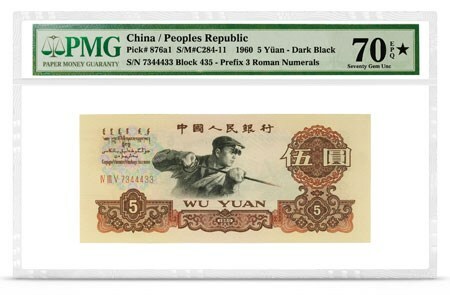 Collecting Chinese currency is an excellent avenue for both seasoned collectors and novices. 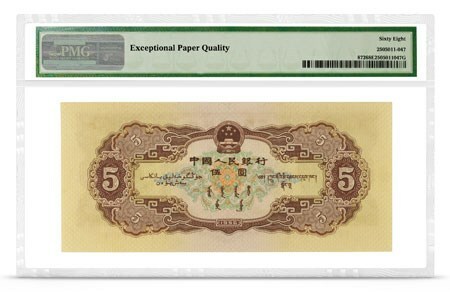 Not only do the coins and paper bank notes yield substantial value, their artwork and colour look stunning when displayed. 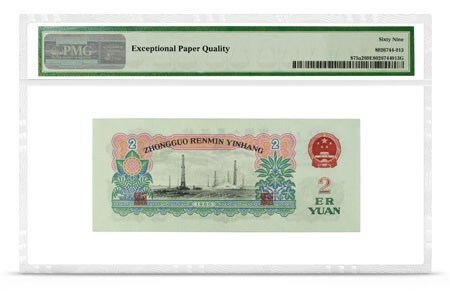 With so many different Chinese banknotes on the market, it can be hard to truly gauge an accurate value. 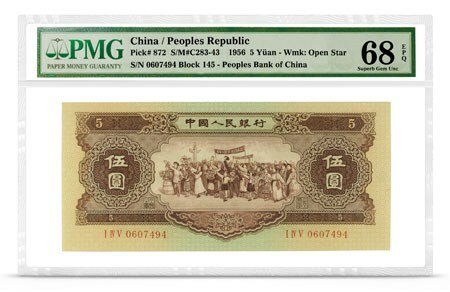 Our goal with this page was to break down the top ten most collected Chinese banknotes with information from the PMG Population Report. Released in 2000 to celebrate the new millennium, this colourful banknote gained a lot of attention in the currency collecting world. The Chinese banknote commands attention with it’s vibrant orange and red colour, the eye of the dragon draws the attention of its viewer. It’s been nearly 20 years since the China Pick 902 was released and it still deserves a place in collections around the world. 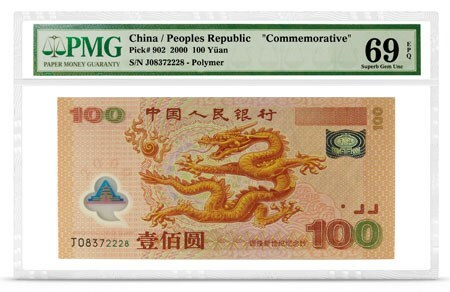 This is the second largest denomination of the third series of Chinese currency. The artwork on the bill shows a Chinese foundry worker wearing dark blue work attire with his tools surrounding him. The ‘b’ variety with three Roman numerals and with light black clocks are highly desirable on the market. 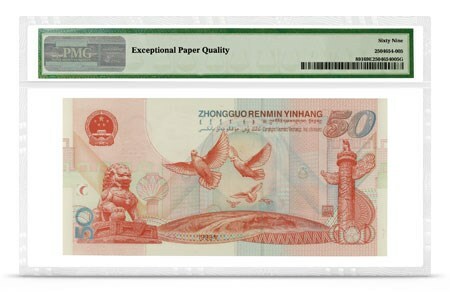 The next most popular Chinese banknote is also from the third series. This 2-Yüan bill features stars in the watermark. Its design stands out with its use of variants of green that create a peaceful look. The image of the craftsman working with his lathe is exceptional. On the back of the bill, you will find a grouping of oil derricks. 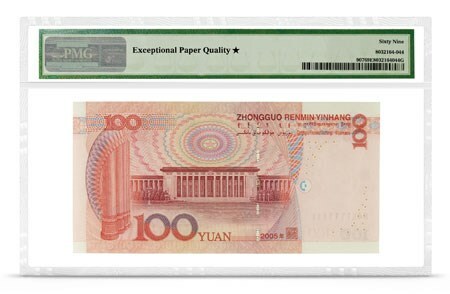 This 100 Yüan note is only the second primarily red note to include the historic Chairman Mao. The first red issue of the 100 Yüan banknote was printed in 1999. There were some interesting changes between the two issues of the valuable note. The first difference is the fact that the note only has one serial number (the 1999, Pick 901, had two – one in black and the other in blue). The second issue features the addition of Omron rings along the top portion of the watermark. You will also notice that the Chairman’s button is different when the two issues are compared. 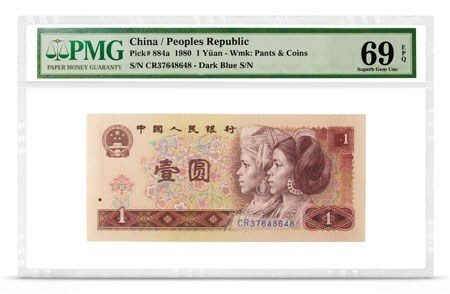 This is another interesting banknote that collectors are eager to add to their Chinese currency collection. The bill comes in many different forms, this is the most popular note in the series. The 1980 1 Yüan banknote issued in the fourth series and a wonderful addition to any collection. 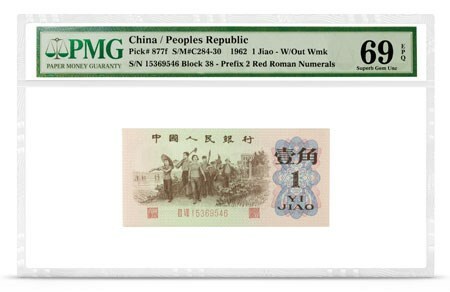 The front of the bill features an image of Dong and Yao ethnic group members, the bank shows a stunning image of the Great Wall of China. 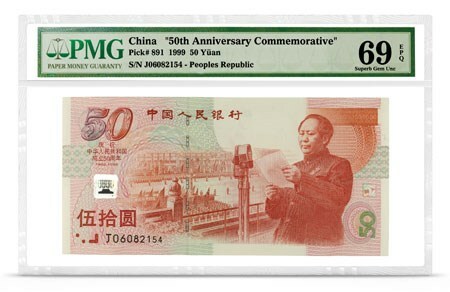 This second commemorative Chinese bill proudly displays Chairman Mao reading ‘China Resurrected’ on January 10, 1949, in Tiananmen, Peking. The bill was issued to celebrate the 50th anniversary of the historic event. Collectors will find that the 50 Yüan note does a fantastic job of capturing the moment using a red colour that doesn’t overpower the viewer. 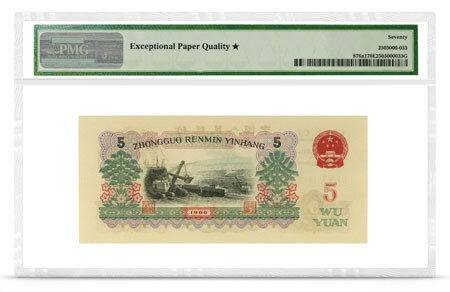 This is the oldest Chinese banknote on this list, this 5 Yüan note was printed in 1956 from the first series. 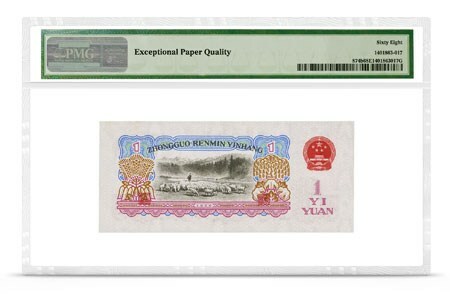 Its high denomination is the most valuable in the series, making it very sought after. Collectors will encounter two variations of this note- one with an open star watermark, and the other showing stars and wings in the watermark. At the time of the list’s publication, the latter watermark was only graded 458 times. 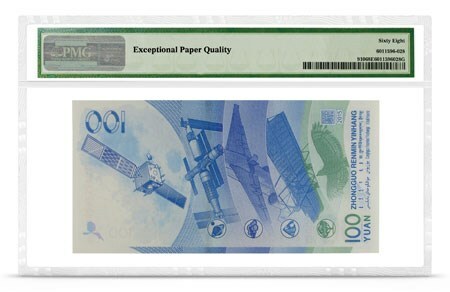 The newest banknote on this list celebrates the nation’s advances in space exploration. 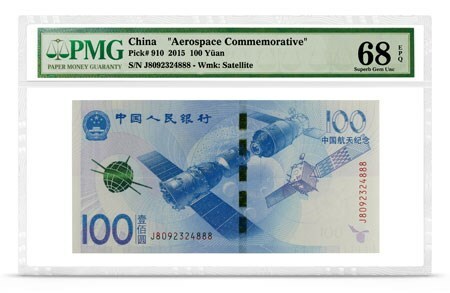 Used to mark China’s first Aerospace Day, the note features two satellite designs. 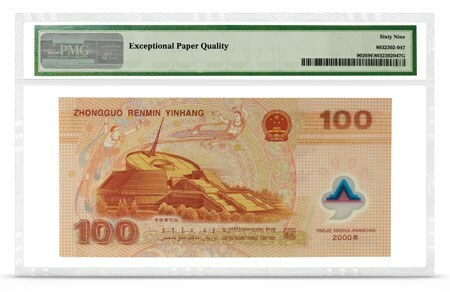 This bill note is used to tell the story of China’s future in space travel and honour the nation’s past pioneers at the same time. 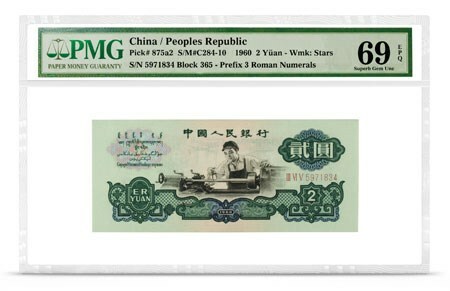 We are now at the most sought-after Chinese banknote in the list is also from the popular third series. The 1960 1 Yüan note showcases a beautiful image of China’s first female tractor driver, Liang Jun. There have been over 27,000 of these notes graded at the time of the list’s publication. 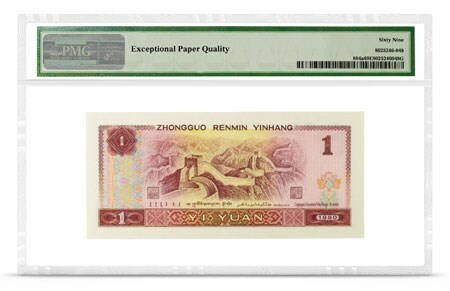 Overall, this note has captured the attention and investment of many collectors of Chinese currency around the world. At Pacific Coin & Currency, we take a lot of pride in our ability to sell and purchase paper banknotes from around the world and throughout history. 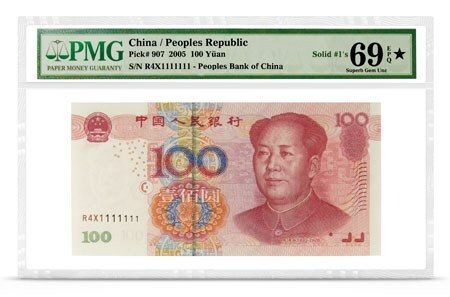 Chinese currency continues to be a popular option for collectors and our team of experienced currency experts will connect you with some of the most desired Chinese banknotes on the market.